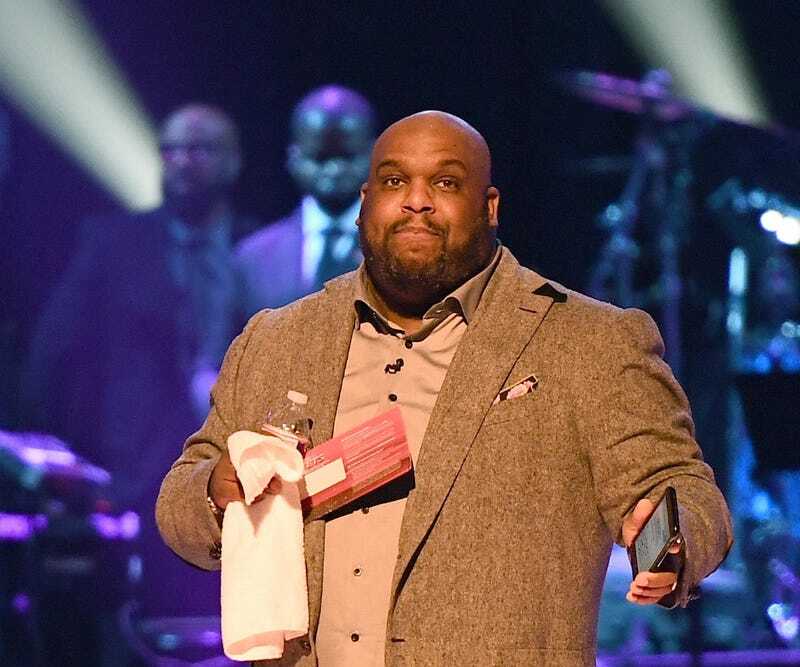 Poor pastor John Gray. He just can’t seem to win for trying. First, the paragon of piety, who became well-known while an associate pastor at Houston’s mega Lakewood Church, caught heat for buying his wife a $200,000 Lamborghini. Then, there was the criticism about the $1.8 million home in South Carolina paid for by Relentless Church, the Greenville, S.C., house of worship where Gray and his wife, Aventer, are currently pastors. And now, even a show of support the Grays received is kicking up new dust. During a sermon Sunday at Relentless Church, Hope Carpenter, the church’s pastor before she moved last year to a church in San Jose, made an appearance. She spoke of the need to hold on to one’s faith in times of trouble and showed her support for the embattled Grays. Then, things took an, uhm, sharp turn. Referring to the local Greenville News, which has published several stories that have been critical of the Grays, Carpenter promised, well, violence. She then pointed to John Gray, who nodded in agreement, according to the Post. Welp. There is that. Wonder what the next chapter will be? What’s Up With Oprah and Homophobic Preachers?